Seven Oaks Performance Arts Centre | prairie architects inc. 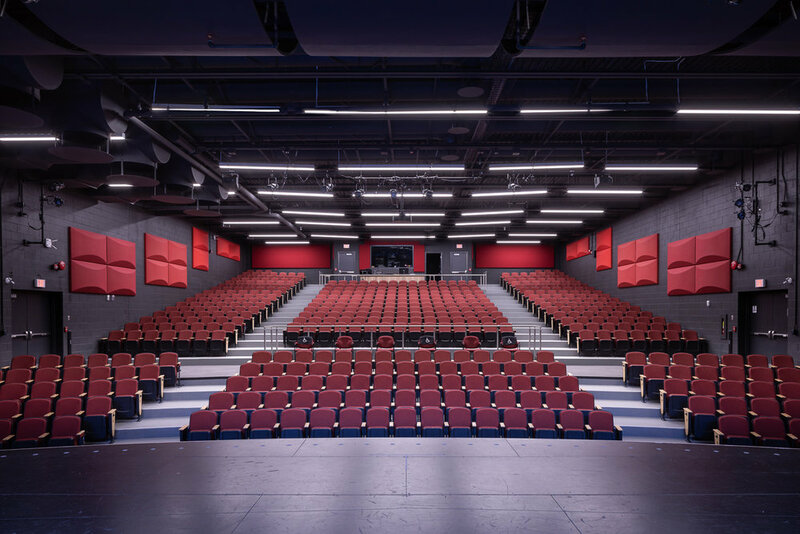 The Seven Oaks Performing Arts Centre is a 17,100-square foot performance, rehearsal and teaching space located at Garden City Collegiate in northwest Winnipeg. 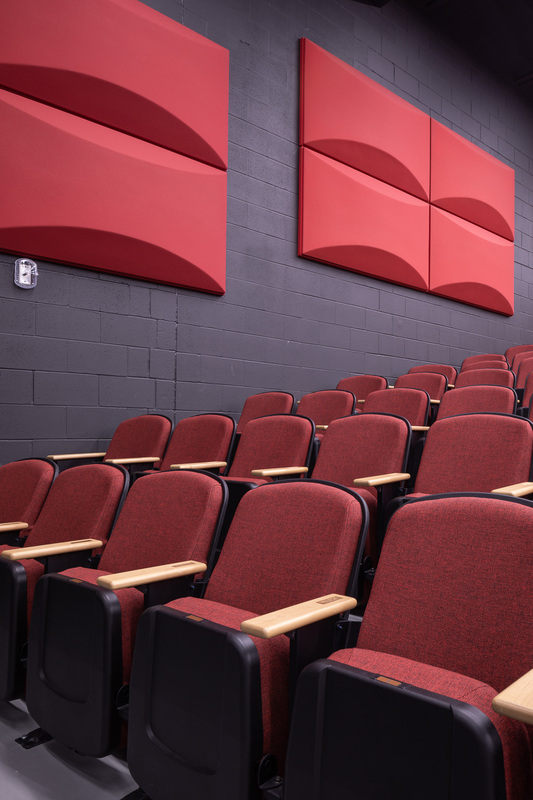 Formally a gymnasium constructed in the early 60’s the space has now been converted to a proscenium style theatre with a capacity of 526. 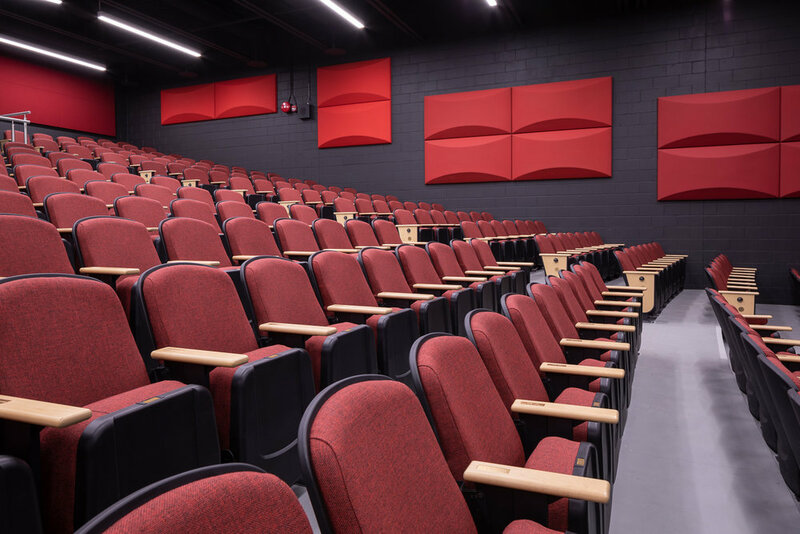 The Centre features a 4,300-square foot stage, state of the art audio/visual system and newly renovated change rooms, green room and a spacious entry foyer. 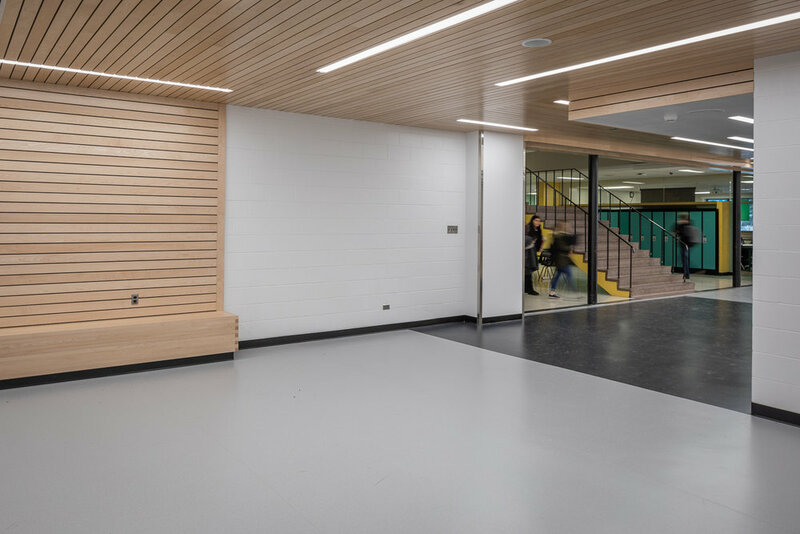 The school remained open while under construction and the project team worked closely with the client to ensure student and staff safety was maintained throughout the project’s duration. Underpinning of the existing foundation and the introduction of a new steel structure was challenging to achieve in a confined space. Retrofitting the school’s mechanical, electrical and fire-alarm systems proved challenging but, on-site problem solving between contractor and consultant allowed the systems to remain operable while being upgraded for the new space. 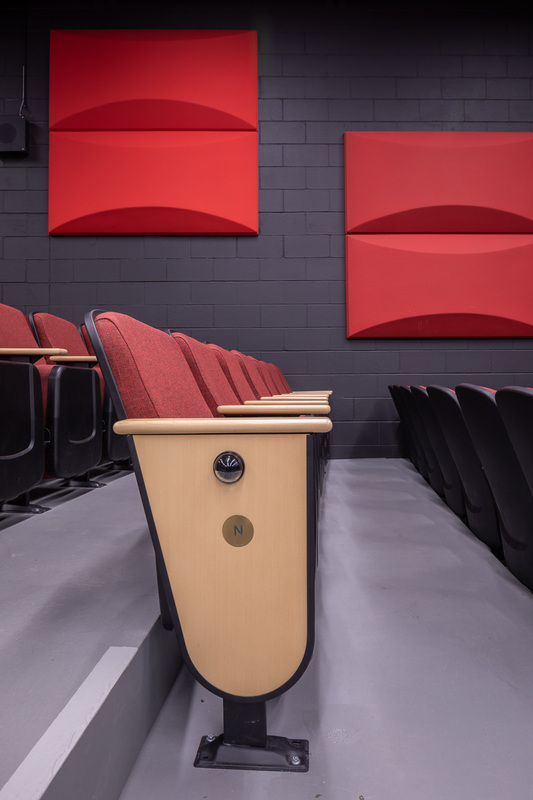 Now completed, the Performing Arts Centre is a catalyst for student and community performers alike.